I am proud to have worked with smoke-free housing movement on a local, state, and national level for nearly a decade. Together with colleagues at HRiA and our partner organizations, I’ve provided tools, resident engagement strategies, technical assistance, and training and capacity-building services for public and private landlords, residents, local tobacco programs, property management companies, resident service coordinators, and others to design a process for the effective implementation of smoke-free multi-unit housing policies. 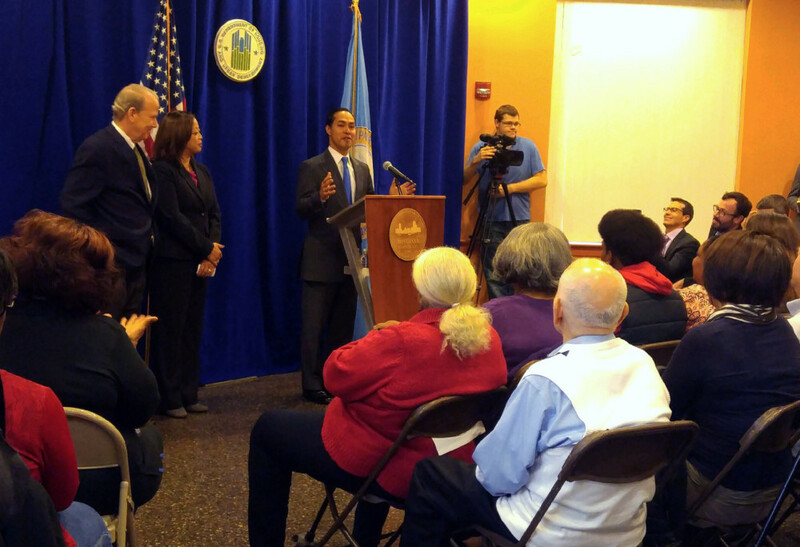 Yesterday’s historical announcement was made by HUD Secretary Julián Castro at the Washington Beech Housing Development in Roslindale. This is the first site that went smoke-free within the Boston Housing Authority (BHA) and set BHA on a path to become the largest housing authority in the country to adopt a smoke-free policy. Beginning in 2009, under the leadership of Resident Leader Meena Carr, and in collaboration with the staff from the Boston Housing Authority, the Boston Public Health Commission, the developers and managers, we hosted resident meetings, surveyed, trained staff and residents to create and implement an effective smoke-free housing policy. The work that began there has already had big impact in encouraging other landlords across Massachusetts to adopt smoke-free housing policies. Since 2009, HRiA has provided on-going training, technical assistance and guidance to hundreds in Massachusetts, Rhode Island, and Texas. That HUD made its groundbreaking announcement at Washington Beech is a wonderful testament to the grassroots, innovative, and important work done at the Boston Housing Authority. In order to broaden our ability to support housing partners to go smoke-free, HRiA is about to launch a brand new online training for large and small landlords. More information will be available on HRiA’s website when the training launches in early 2017. HRiA is available to provide the training and technical assistance for landlords, property management companies, resident groups, and others – please contact Kathleen McCabe (kmccabe@hria.org). Congratulations to HUD on taking this important step to protect the health of all people that live and work in public housing. See the press release from the U.S. Department of Housing and Urban Development.